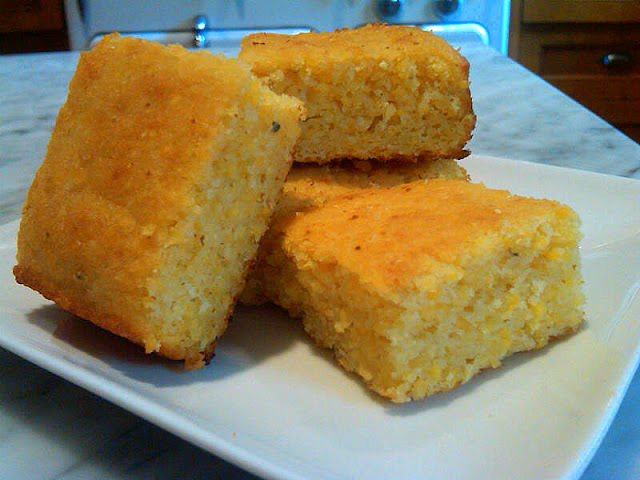 I was going to make some polenta today, but I'll try this cornbread instead. Nothing wrong with simple things, I also pared down my recipe collection, getting rid of useless bells and whistles. 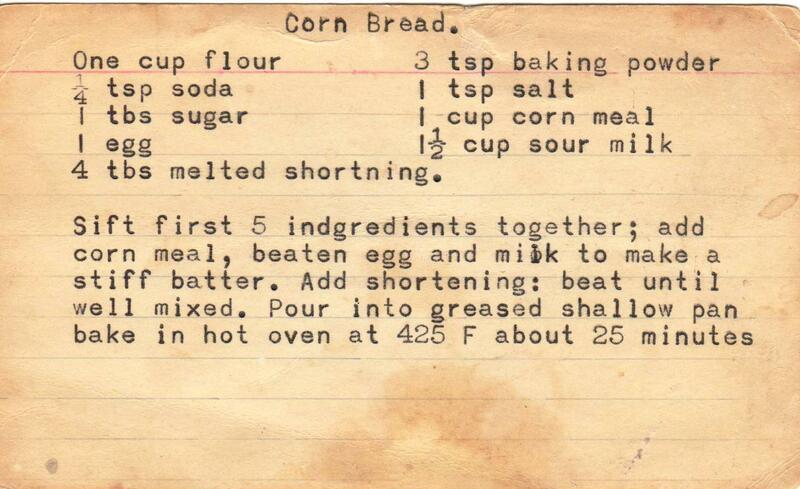 Anna -- Hope your adventures in corn bread went well. 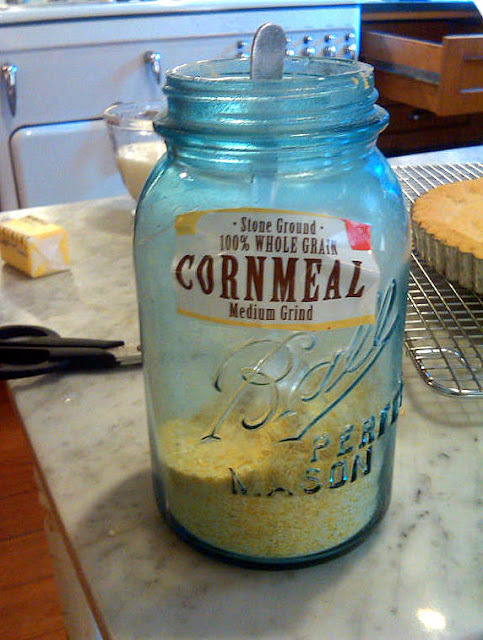 And as for the taping of labels onto jars, I recently had a *major* women's magazine in my kitchen to take some pictures and they were intrigued with my repurposed jam jar, filled with baking soda (with a cut-out label on it). 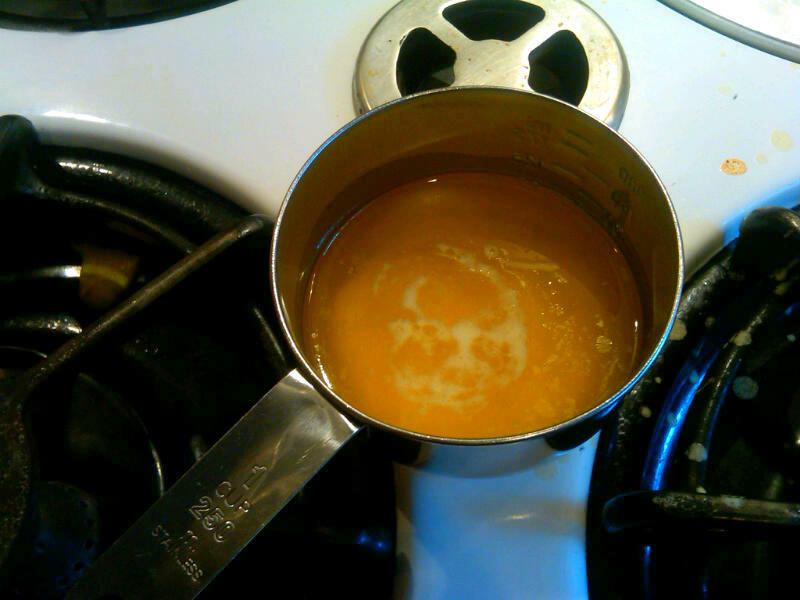 In fact, they passed it around, and commented on that more than anything else in my kitchen!